Many natural compounds were tested for the ability to suppress viral replication. The present manuscript details an analysis of high dose vitamin C therapy on patients with EBV infection. The data were obtained from the patient history database at the Riordan Clinic. Among people in our database who were treated with intravenous vitamin C (7.5 g to 50 g infusions) between 1997 and 2006, 178 patients showed elevated levels of EBV EA IgG (range 25 to 211 AU) and 40 showed elevated levels of EBV VCA IgM (range 25 to 140 AU). Most of these patients had a diagnosis of chronic fatigue syndrome, with the rest being diagnosed as having mononucleosis, fatigue, or EBV infection. Our data provide evidence that high dose intravenous vitamin C therapy has a positive effect on disease duration and reduction of viral antibody levels. Plasma levels of ascorbic acid and vitamin D were correlated with levels of antibodies to EBV. We found an inverse correlation between EBV VCA IgM and vitamin C in plasma in patients with mononucleosis and CFS meaning that patients with high levels of vitamin C tended to have lower levels of antigens in the acute state of disease. In addition, a relation was found between vitamin D levels and EBV EA IgG with lower levels of EBV early antigen IgG for higher levels of vitamin D.
The clinical study of ascorbic acid and EBV infection showed the reduction in EBV EA IgG and EBV VCA IgM antibody levels over time during IVC therapy that is consistent with observations from the literature that millimolar levels of ascorbate hinder viral infection and replication in vitro. Adenanthera pavonina, popularly known as red-bead tree, carolina, pigeon’s eye, and dragon’s eye, is a plant traditionally used in Brazil for the treatment of several diseases. The present study aimed at evaluating the activity of sulfated polysaccharide from the Adenanthera pavonina (SPLSAp) seeds against poliovirus type 1 (PV-1) in HEp-2 cell cultures. The SPLSAp presented a cytotoxic concentration (CC50) of 500 μg/mL in HEp-2 cell cultures, evaluated by the dimethylthiazolyl-diphenyltetrazolium bromide method (MTT). The SPLSAp exhibited a significant antiviral activity, with a 50% inhibitory concentration (IC50) of 1.18 µg/mL, determined by plaque reduction assay and a high selectivity index (SI) of 423. The maximum inhibition (100%) of PV replication was found when the SPLSAp treatment was concomitant with viral infection (time 0 h), at all tested concentrations. The maximal inhibition was also found when the SPLSAp was used 1 h and 2 h postinfection, albeit at 50 μg/mL and 100 μg/mL. Therefore, we demonstrated that the SPLSAp inhibited PV growth. We also suggested that SPLSAp inhibited PV in more than one step of the replication, as the mechanism of antiviral action. We, therefore, selected the compound as a potential candidate for further development towards the control of the infection. Basu P, Dutta S, Begum R, et al. Clearance of cervical human papillomavirus infection by topical application of curcumin and curcumin containing polyherbal cream: A phase II randomized controlled study. Asian Pac J Cancer Prev. 2013;14(10):5753-5759. Human papillomavirus (HPV), a common infection, is considered to be the underlying cause of most cervical cancers, especially HPV 16 and HPV 18. Curcumin, a compound found in turmeric (Curcuma longa) root, has been reported in preclinical studies to kill cervical cancer cells. Additionally, amla (Phyllanthus emblica syn. Emblica officinalis) and aloe (Aloe vera) in very low concentrations have been found to inhibit transduction of a form of HPV.1 This randomized, double-blind, placebo-controlled trial investigated a cream product known as Basant™, designed by the Talwar Research Foundation; New Delhi, India. Basant contains curcumin, amla extract, Chinese soapberry (reetha; Sapindus mukorossi), aloe, and French rose (Rosa gallica) water. Basant was compared with a placebo cream and curcumin and placebo vaginal capsules to investigate the clearing of HPV cervical infections in women who are positive for HPV but free from cancer. Included women were between 30-60 years old, had diagnosed cervical HPV, with no evidence of cancer or high-grade squamous intraepithelial lesions (HSIL, a form of pre-cancerous pathology), and agreed to use "barrier" contraception during the study. Those with low-grade squamous intraepithelial lesions (LSIL, mild pathology) were included. Those pregnant or lactating or who had more than a 7-day menstrual period, had undergone previous treatment for cervical cancer, or had any serious illness that could interfere with the study were also excluded. In total, 280 patients were intended for randomization into Basant, placebo cream, curcumin capsules, or placebo capsules groups (n=70 per group). However, only 54 patients were enrolled in the placebo cream group as the placebo cream was in short supply from the manufacturer. Neither the content nor the manufacturers of the placebo or curcumin capsules are described. Patients were screened and randomly assigned in 14 days, with leftover material used to gauge compliance. Treatments were applied once per day for 30 days except during menstruation. Exact times and amount of clinical visits and follow-up are not well described. At baseline and at the end of the study, Pap smears and cervical samples for HPV detection were collected, colposcopy (microscopic exam) was conducted, and biopsy was done if problems were seen at screening or colposcopy. Polymerase chain reaction (PCR) was used to characterize HPV. Functional assessments of liver and kidneys and hematology were also completed. Adverse events (AEs) were measured and scaled according to mild, moderate, or severe, along with correlation to treatments. All patients enrolled were analyzed for AEs. In total, 287 women were enrolled in the study, with a significantly greater amount of postmenopausal patients in the placebo cream group as compared to the Basant group (P=0.02). From the total amount of patients, 255 finished the protocol (per-protocol analysis). Those that dropped out due to ASEs but completed the third clinic visit (7 in the Basant group, 3 in the placebo cream group, 2 in the curcumin group, and 1 in the placebo capsule group) were included in the Modified Intention To Treat (MITT) analysis, along with 1 patient that did not complete the full dosage (66 patients in the Basant group, 48 patients in the placebo cream group, 75 patients in the curcumin group, and 80 in the placebo capsule group). According to the MITT analysis, HPV was cleared in 87.7% of those using Basant cream, in comparison to clearance in 75.0% of those in the placebo cream group; the difference between the 2 groups was notable, but not statistically significant (P=0.08). In the curcumin capsule group, the number of patients (81.3%) who had clearance of HPV was not significantly higher compared to 72.5% of those in the placebo capsule group (P=0.19). When the Basant group results were compared to the combined placebo groups, the difference was significant (P=0.03), but this approach defies the principle of randomized controlled trials. There were no significant differences in rates of clearance between the Basant cream and curcumin capsule treatment and their respective placebos in the MITT population. Those using Basant cream all (17/17) showed eradication of both HPV 16 and HPV 18 infections, while 85.7% (12/14) of those in the curcumin group cleared the infection; 78.6% (22/28) of those in both placebo groups combined showed eliminated infection. In the Basant group, 57.1% of those with LSIL (4/7 patients) had decreased lesions, while the 2 patients with LSIL in the placebo cream group had no lesions at the end of the study. Two of the 6 patients with LSIL in the curcumin capsule group showed clearance of these lesions, while no one in the placebo capsule group had these lesions at the start of the study. In the Basant group, 20 patients had AEs, in comparison to 4 patients in the placebo cream group. This difference was significant (P=0.005). Vulvo-vaginal burning was the most common AE in the Basant group (n=12), followed by vulvo-vaginal pruritus (itching; n=10). However, there were no significant differences in the number of AEs reported in the curcumin group compared to the placebo capsule group (12 versus 9 AEs). Although there was a greater rate of HPV elimination in the Basant group for HPV 16 and HPV 18 as compared to the placebo group (which was not significant [P=0.07]), this product may be clinically useful in treating HPV and preventing cancer. It is suggested that synergy among the botanicals used may enhance bioactivity. Despite this, Basant treatment resulted in significantly more AEs than the placebo group, suggesting that this product may not be well tolerated. Other limitations discussed include the small sample size in the placebo cream group, combined analysis of the 2 placebo groups, and small number (and inclusion) of patients with LSIL. Additionally, the lack of a comparison of standard pharmaceuticals used to treat HPV to Basant or curcumin treatment is not explained. Also, no rationale is provided for the curcumin formulation employed. Ideally, larger future trials with longer follow up will further address efficacy and tolerability of Basant for HPV clearance. 1Talwar GP, Dar SA, Rai MK, et al. A novel polyherbal microbicide with inhibitory effect on bacterial, fungal and viral genital pathogens. Int J Antimicrob Agents. 2008;32(2):180-185. Di Pierro F1, Colombo M2, Zanvit A3, Risso P4, Rottoli AS5. BACKGROUND: Streptococcus salivarius K12 is an oral probiotic strain releasing two lantibiotics (salivaricin A2 and salivaricin B) that antagonize the growth of S. pyogenes, the most important bacterial cause of pharyngeal infections in humans also affected by episodes of acute otitis media. S. salivarius K12 successfully colonizes the oral cavity, and is endowed with an excellent safety profile. We tested its preventive role in reducing the incidence of both streptococcal and viral pharyngitis and/or tonsillitis in children. MATERIALS AND METHODS: We enrolled 61 children with a diagnosis of recurrent oral streptococcal disorders. Thirty-one of them were enrolled to be treated daily for 90 days with a slow-release tablet for oral use, containing no less than 1 billion colony-forming units/tablet of S. salivarius K12 (Bactoblis®), and the remaining 30 served as the untreated control group. During treatment, they were all examined for streptococcal infection. Twenty children (ten per group) were also assessed in terms of viral infection. Secondary end points in both groups were the number of days under antibiotic and antipyretic therapy and the number of days off school (children) and off work (parents). RESULTS: The 30 children who completed the 90-day trial with Bactoblis® showed a significant reduction in their episodes of streptococcal pharyngeal infection (>90%), as calculated by comparing the infection rates of the previous year. No difference was observed in the control group. 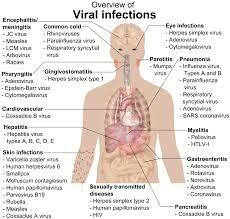 The treated group showed a significant decrease in the incidence (80%) of oral viral infections. Again, there was no difference in the control group. With regard to secondary end points, the number of days under antibiotic treatment of the treated and control groups were 30 and 900 respectively, days under antipyretic treatment 16 and 228, days of absence from school 16 and 228, and days of absence from work 16 and 228. The product was well tolerated by the subjects, with no side effects, and only one individual reported bad product palatability and dropped out. CONCLUSION: Prophylactic administration of S. salivarius K12 to children with a history of recurrent oral streptococcal disease resulted in a considerable reduction of episodes of both streptococcal and viral infections and reduced the number of days under antibiotic and/or antipyretic therapy and days of absence from school or work. Source : Drug Healthc Patient Saf.